I love wearing boots in the fall and winter. When you pull or zip them up over your calf you just walk a bit taller! Boots could be considered an investment piece for sure. I have several pair of boots in different colors and heel heights! I am short, so a heel on a boot is always a plus. Booties are big again this season and I must get a new pair. Although I wouldn't consider this peep toe a bootie, it does have similar qualities to be one!! I am loving this roundup and could see so many of these in my closet. They all have such a different flair and style, a girl could get a lot of use out of them all! Do you like wearing booties? 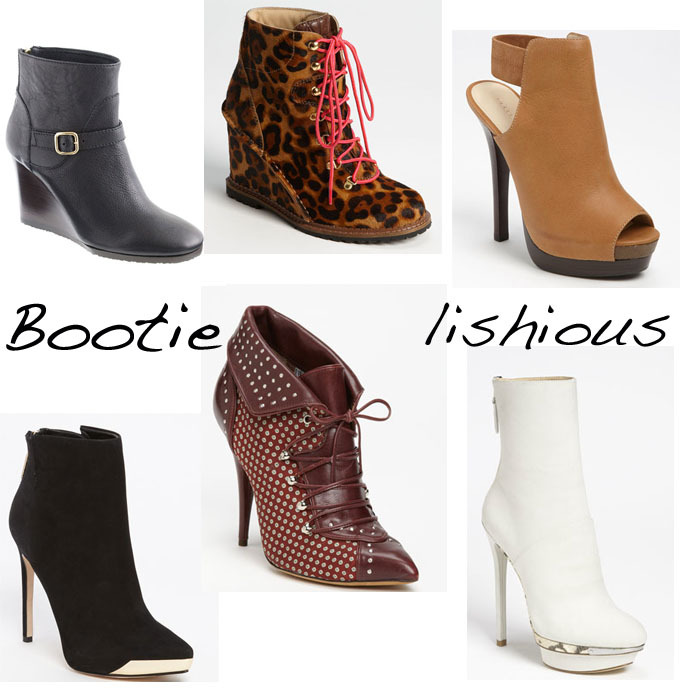 Which bootie is your favorite?